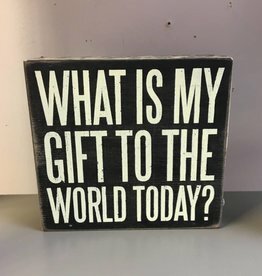 This black and white sign is a constant reminder to make use of your time and give back to the world. 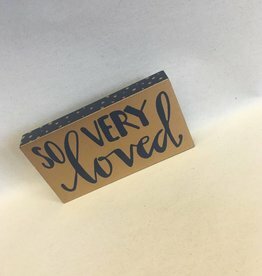 This sign is 6x5.5", can be easily hung or set on any shelf, and looks good in any setting. 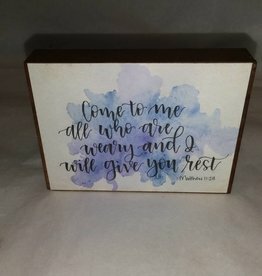 Motivational & inspirational sign: Come to me all who are weary and I will give you rest. Matthew 11:28. Taken from the Bible. 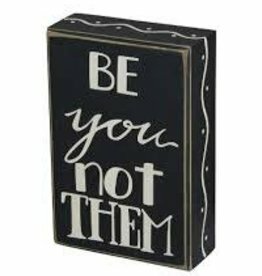 4"x3"
Motivational & inspirational wood sign. 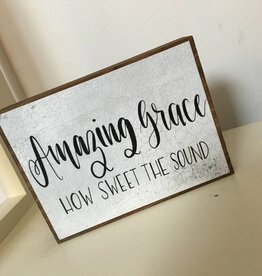 Amazing Grace, 4"x3" wood sign. 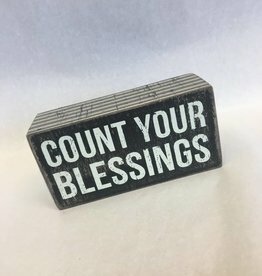 Mini Country Wood Sign, 4x3"